Easy Monkey Bread is a homemade gooey, sweet, decadent dessert that you can cook at home or around the campfire. 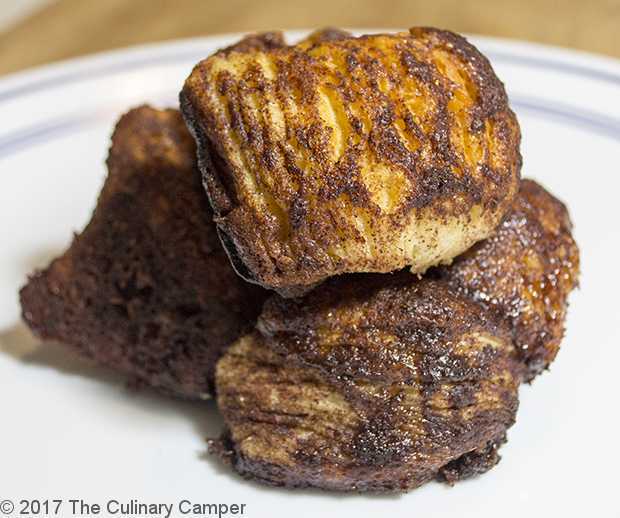 The kids will love this camping recipe for sweet delicious monkey bread. So with that being said, easy monkey bread is a really simple way to enjoy a sweet pastry using canned biscuit dough. 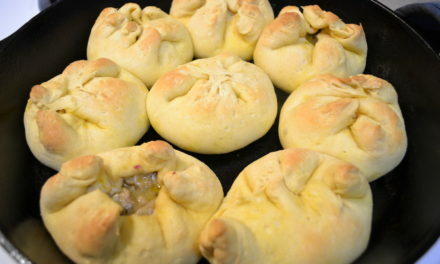 You can use other types of dough as well, but for this recipes, we’ll stick to biscuit dough. This simplifies things when you want to make this on your next camping trip. About half way through the cooking I had to peek. There are a bunch of theories as to why monkey bread has that name. Some say it resembles the monkey tree, others say it looks like monkeys. Another theory is that monkeys pick things apart and that is just how you eat this bread, by picking it apart. My mom used to make a similar recipe and would just call them stickies, or sticky buns. None of that matters too much, just know that these are quite a delicious treat to enjoy at home, at the campsite or in the backyard. Dutch oven Monkey Bread is a delightful little dessert that is easy to prepare. These sticky little treats are a lot of fun for kids to make. Since Dutch ovens are heavy and very hot, please take into consideration all precautions around young children. This website takes no responsibility for injuries during the making of these recipes. 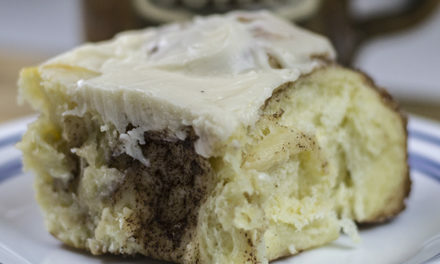 Monkey Bread is a type of cinnamon roll made with canned biscuits. You can vary this recipe by taking out the nuts if you don’t care for them or you can roll chopped nuts around each sticky if you do like them to give each sticky a more nutty flavor. Another delicious way to enjoy these tasty treats is to roll chocolate chips around them. If you are a raisin fan, then try some raisins or even other dried fruit like craisins or chopped up mango. Dutch oven chart used to calculate how many coals to use when cooking outdoors. Easy monkey bread is great because its so easy even your young children can help make these. What kid doesn’t like to play around a campfire. Just be careful as children can get rowdy around a campfire. Use every precaution in keeping young ones safe from injury around hot coals and flame. 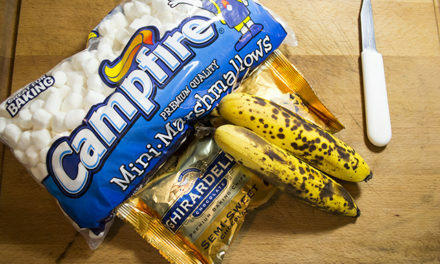 This can be a great teaching moment with kids to get them interested in cooking and in cooking over a campfire. 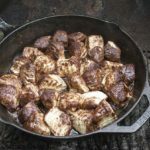 When using a Dutch oven in a fire, I often get my charcoal started in the fire and use the charcoal so that I can control the amount of heat that goes onto and under the Dutch oven. 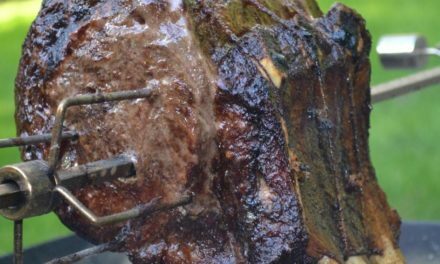 Make sure you have a good set of tongs and some heavy leather gloves because the coals can get very hot. And monitor any young children closely when around fire and coals. Deep cast iron skillets work great as Dutch ovens too.This one has a lid holder underneath to elevate it over the coals. Icing just sounded good with this recipe so I included it in the recipe notes. This icing recipe is pretty simple. I like the added sweetness from the icing, but Monkey Bread is delicious without it as well. This recipe was first published in November of 2013. We’ve added some new information and photos and hope you enjoy the update. Monkey bread is a delicious dessert you can make in a Dutch oven outdoors or use a cake pan and make them indoors. Line the bottom of the Dutch oven with the chopped walnuts. Mix the cinnamon and sugar together in a bowl. Cut pre-made biscuits into quarters, roll in the cinnamon and sugar and place in the Dutch oven. Bake at about 350 to 370 (place 10 to 14 coals on top and 8 on the bottom, ) for 20 to 30 minutes or until golden brown. I tried this without the nuts! It was delicious and super easy. These are best if enjoyed while they are hot.